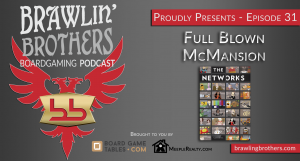 This episode brought to you by BoardgameTables.com and Meeple Realty – A fun filled episode, RIDDLED with mistakes (Gotta catch em all!) – Our summer travels are quickly winding down and we attempt to shake the rust off. As a welcome back gift, Josh plays a joke on Brandon and he needs new ear drums! Josh makes sure to check in on all embarrassing iTunes reviews, including one from j5ldh. 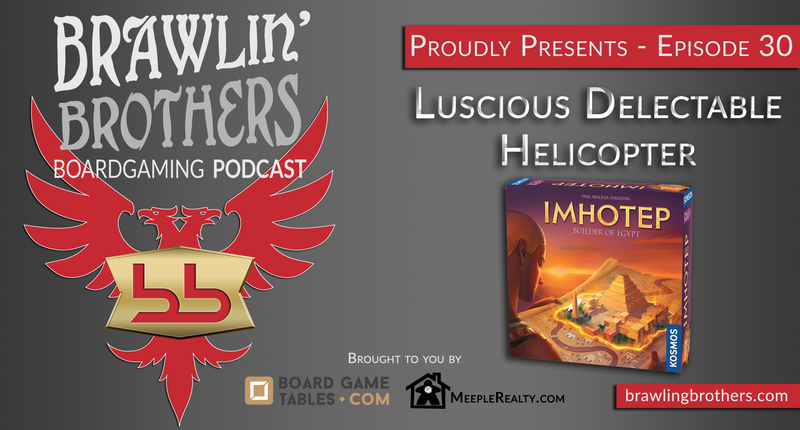 Can anyone tell us what a Luscious Delectable Helicopter is?! Our 4th of July celebrations are proceeded by Brandon’s 95th birthday! We check in on our BGG Guild and – What’s this?!? – the heathens (brawlers?) are calling for a Solo Josh episode??? Then is crusty and musty in a SUPREME way, and begins with a supreme theft! 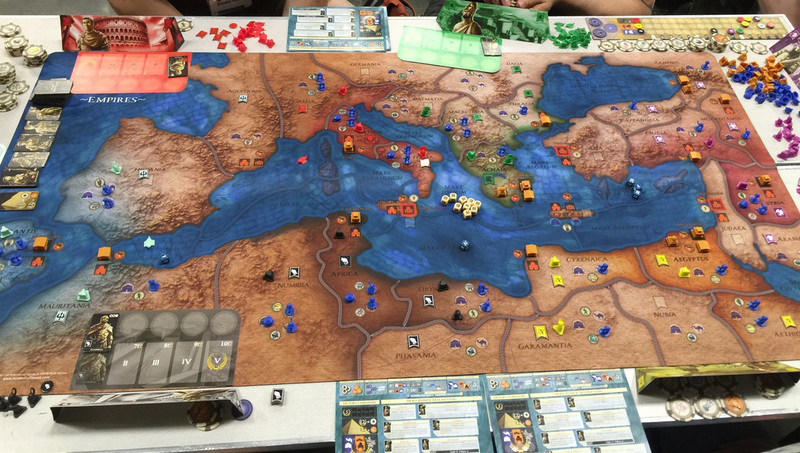 We delicately explore the phallic tendencies of Mare Nostrum & consider writing a jingle for our friends at Asmodee. 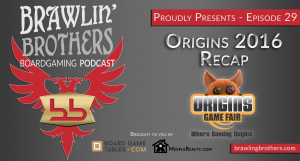 In questions from a hat we discuss our favorite gaming accessories, compare video games to board games, name our favorite 6 player games and proudly proclaim our favorite podcasts (board gaming and otherwise). As with every 10th episode, we wrap up with a bleep filled outtake roll from the previous 10 shows – If you don’t laugh, we owe you a churro! 00:12:23 – BoardGameTables.com – The perfect addition to every game room!